Is your business a part of the big picture? 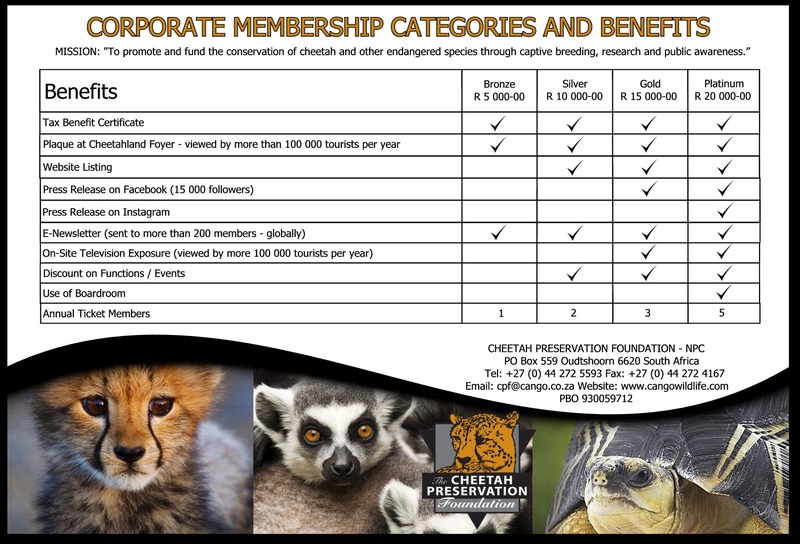 Let your business have a direct impact on the conservation of various endangered animals! Our registered NPC offers your business the opportunity to be a part of something much 'bigger'. Zimmermann Immobilier is a real estate company based in Geneva, Switzerland, specialized in buying, refurbishing, managing and selling rental buildings and apartments. Big Tree Marketing is an owner run sales and marketing company with an extensive network of key industry leaders and decision makers. Highly regarded as ethical and insightful, we elevate the profile of our partners through face to face strategic meetings, training presentations, educationals, on-line and social media actions. We offer travel trade support and relationship growth with our stakeholders using creative and effective activities across all levels of our target market. Big Shot Media is a dynamic TV Production Company that operates from Melkbosstrand on the West coast. They pride themselves with their professional productions. They have achieved a lot on the local & international broadcasting stage. and are proud to be the company that has helped events like the Absa Cape Epic become the world’s most televised mountain bike stage race. They have also helped numerous events grow in stature such as Sani2C, Ironman, Bridge Cape Pioneer etc. The owner Herbert is from Austria with a passion for travel. "Traveling is such a wonderful way to explore cultures, make new friends or simply get out of your daily routine. From the Buckingham Palace to the Colosseum, from Oktoberfest to Dracula’s castle. No matter where you come with us we’ll make sure you’ll have the time of your life. Travel is a passion, if not it needs to become one – your passion!" Kraaibosch Nurseries in George are Wholesalers and suppliers of indigenous and exotic trees, shrubs, groundcovers, bedding plants, color pots, roses, fruit trees and herbs to retailers, landscapers, property developers, municipalities, farmers, architects, and contractors. Make sure your business is a part of the positive change our planet needs! Click the link below to view our different categories! Are you ready to be the change? !